Transaction support services: Financial due diligence investigations and business valuaitons. Lead advisory services:mergers and acquisitions;business disposals;management buy outs'ins. Tania joined Shaw Gibbs in 2018 with over six years corporate finance experience. She focuses on financial due diligence projects and company valuations, she also assists Clifford with lead advisory work. Recent transactions include the financial due diligence of Powell Gee & Co Limited (a manufacturer and distributor of fasteners into the UK construction sector) in relation to the acquisition of the business by The Tibbett’s Group Ltd (a distributor of components for automotive, aerospace, construction and industrial sectors). 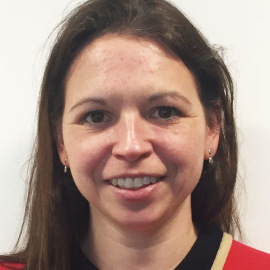 Prior to Shaw Gibbs, Tania was a Corporate Finance Manager in the capital markets team at RSM in London. Whilst there, Tania worked on capital market transactions as reporting accountant for the placing and admission onto AIM and the Main Market of both domestic and international companies in a variety of sectors including software, retail, natural resources and media. Tania’s career started at Crowe Clark Whitehill where she trained in audit and became ACA qualified in September 2010, after qualifying Tania moved into Crowe Clark Whitehill’s transaction services team working on IPOs as reporting accountant and on financial due diligence investigations. Tania enjoys sailing and has taken part in yacht races and regattas in the Solent however, she now has a young family and a dog which take up most of her spare time.